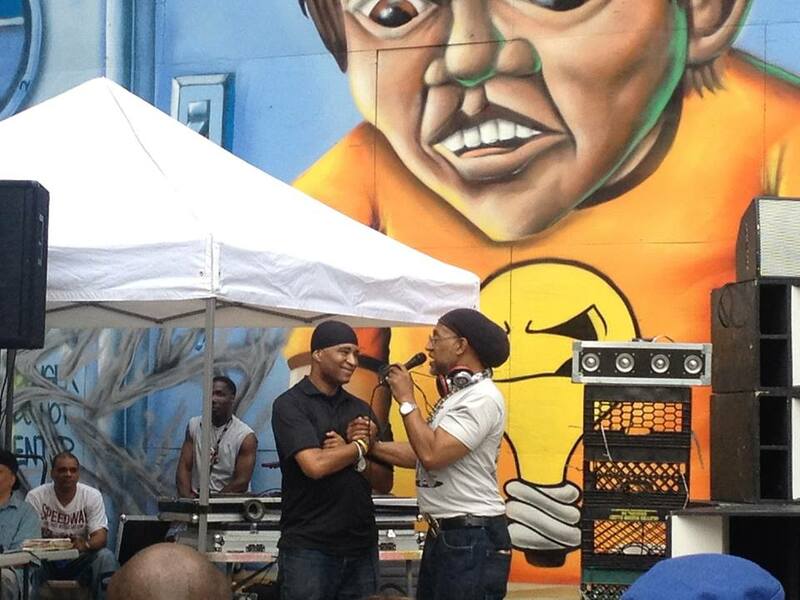 More reasons New York kills every other city in the US – up there this weekend, and randomly find out that DJ Kool Herc (sometimes billed as Kool DJ Herc) was playing a free (!) party yesterday to celebrate the 40th anniversary of the birth of hip hop culture, which most agree occurred on August 11, 1973, in the party room at the now legendary 1520 Sedgwick Avenue apartment block in the Bronx. This was his apartment building, and it was his sister Cindy’s back-to-school party, DJed by the 16 year old Clive Campbell, aka DJ Kool Herc. In attendance were none other than Grandmaster Flash, Afrika Bambaataa, and KRS-One, future giants of hip hop, as well as Coke La Rock, Herc’s buddy and hip hop’s very first standalone MC. Nearly everyone in attendance that night was blown away and there is no doubt that it was the defining event in the explosion of hip hop. 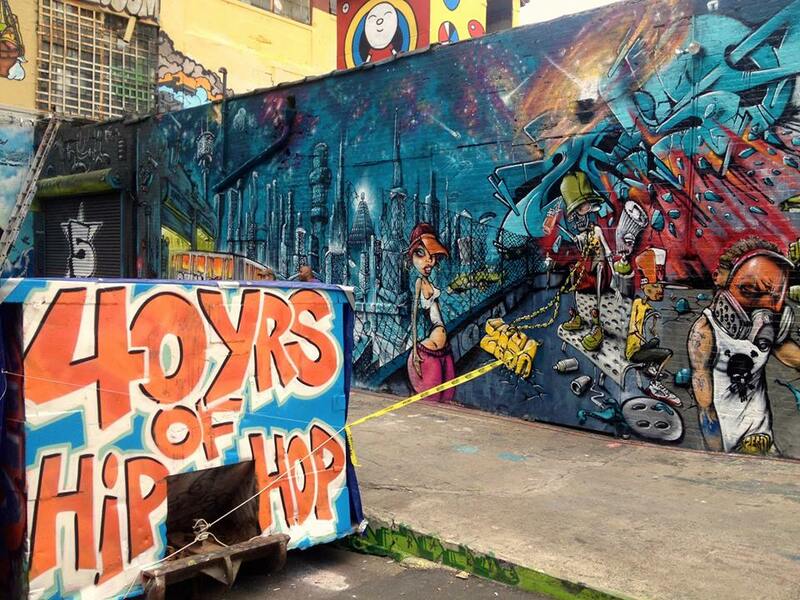 Yesterday’s party, at the 5 Pointz graffiti and art center in Long Island City, was a tribute to the legendary DJ and his role as the father of hip hop music, as well as a throwback to exactly the sort of party Herc used to throw in those early days. 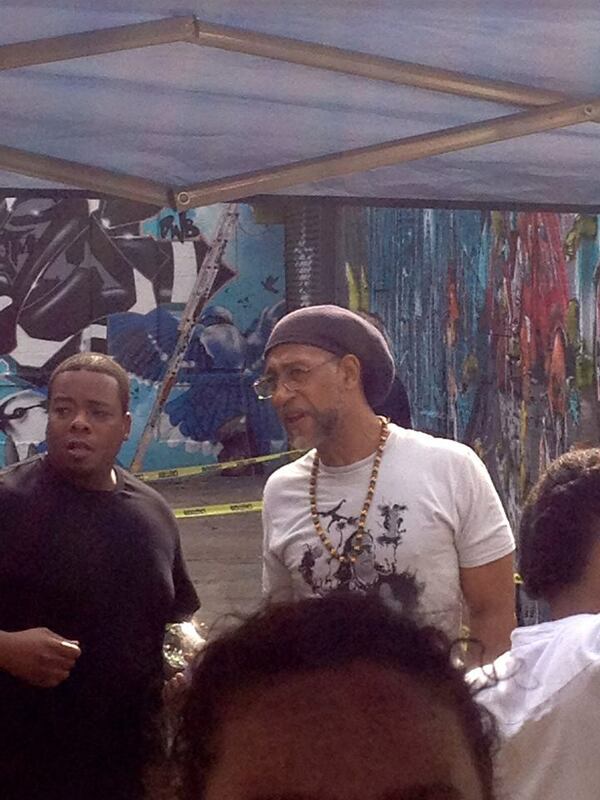 DJ Kool Herc created hip hop by extending and looping the breaks of hard funk tracks from the likes of James Brown, the Incredible Bongo Band, and others, creating what he called “the merry-go-round” – several minutes of intense beats that drove the b-boys and b-girls (a term he coined) wild and helped to develop breakdancing. You don’t hear this anymore, but it was clear yesterday that people still love it! Seriously gat-damn funky! Acting as MC was Marley Marl, a legendary producer and MC from the Golden Age of Hip Hop, responsible for massive hits by luminaries such as Eric B & Rakim and especially LL Cool J (he produced “Mama Said Knock You Out!”). 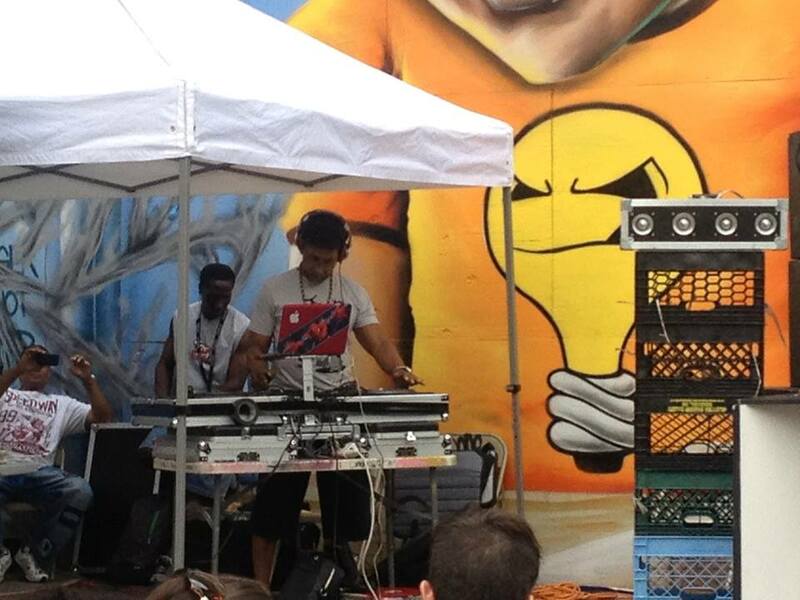 Long live Clive Campbell, DJ Kool Herc, and may the spirit of 73 live on forever! This entry was posted on August 12, 2013 by Hassouni Efendi. It was filed under Dance, hip hop, Music, New York .